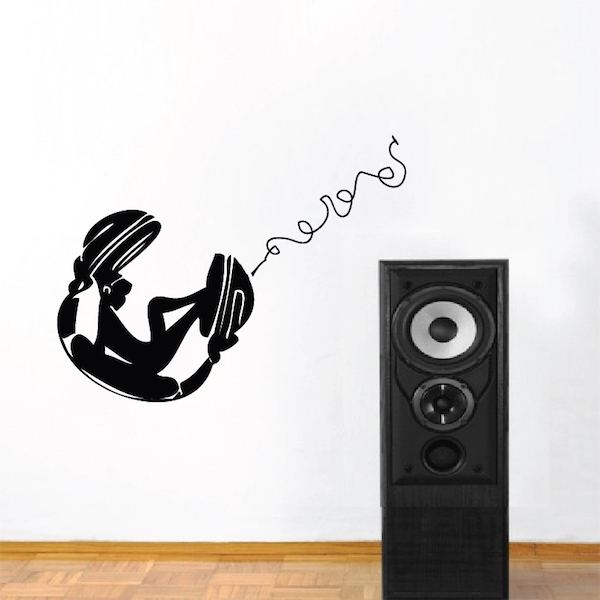 Rock and roll with the Chill Chick On Headphones Wall Decal! 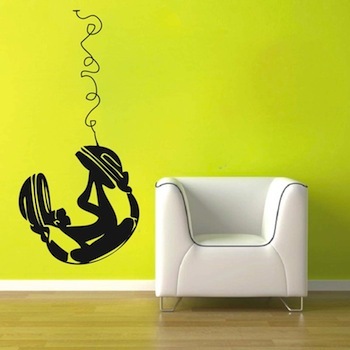 The Chill Chic On Headphones Wall Decal is great for musicians or anyone that loves music! This is truly one of a kind. Sizes are measured for the headphones alone without the wire. Apply the wire separately in any position you like. All of our vinyl is made from 100% interior safe, removable vinyl that appears painted right on the walls, perfect for permanent or temporary decorating! All wall decals are available in multiple sizes and over 40 different colors! Decal designs are exemplary for windows and nearly any flat, smooth surface. Design sizes within a close approximation. 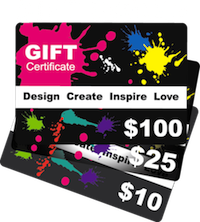 Click on our color chart to view all color options for this product. This site truly has the most unique designs. I bought this decal for my music room and it gets a lot of compliments. It got here after 3-4 days of placing my order3 and It was easy to apply. I highly recommend this to everyone who is looking for a unique piece of art!